Will you be going on a vacation that will keep you away from responding instantly to you mail? Then you need Gmail vacation responder. Because with Gmail’s vacation responder you will be able to let people know that you won’t be able to get back to them right away. But what really is Gmail vacation responder and how does it work? Gmail Vacation Responder – what is it? 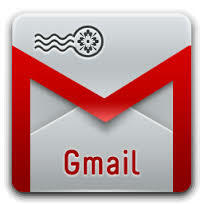 Gmail vacation responder is a service provided by Gmail which send a notification e-mail to those who email while you are not available to respond to their emails instantly base on the reason you provided. This service of Gmail is very much vital because those who emailed you will get to know the reason behind your non instant response to their email. And since this service needs to be set up only once, it requires no internet connection in order to send the auto reply mails. The Gmail vacation responder you set up take effect from 12:00AM from the day you activate and end at 11:59PM on the expected end date, unless you end it earlier. The reply you set up set up is sent only once to people who emailed you. But if that same individual contacts/sends another mail after four days, and your vacation responder is still on, then Gmail will send another vacation reply which you customizes so as to remind the individual that you’re till away from your email. The vacation responder four day records restart/ start all over each time you edit it, hence is someone receives your initial vacation response, and then emails you again after you’ve edited the subject or body of the vacation responders response, the individual will sent the edited response even if it is still within the four day. Please be inform the messages which Gmail classify as spam or/and messages which its sender is associated with a mailing list you subscribe to will not be sent the vacation response reply you activated.